Russia blames Israel for the destruction of the Il-20, which cost the lives of 15 servicemen, after it emerged that around the time if its demise, Israeli fighter jets were in immediate proximity to the Russian plane. The Russian Ministry of Defense accused the Israeli Air Force of providing misleading information about the area where planned air strikes on Syrian targets were to take place, violating an agreement with Russia, and shortly afterwards Israeli Defense Minister Avigdor Lieberman stated Israel won’t ditch conducting operations in Syria to thwart Iran’s military presence there, despite the tragic Il-20 incident. “We have been operating prudently and responsibly and only in cases where we've had no other choice. So nothing has changed or will change. This is our policy,” Israeli Defense Minister Avigdor Lieberman told the local radio station Kan in an interview published Sunday morning. “We won’t let Syria be turned into a main Iranian military facility against the Israeli state. We continue to act… and we have all the necessary means and opportunities to this end,” he noted. According to Lieberman, Israeli military servicemen continue to pin their hopes on good communication, which they established with Russian military units in Syria three years ago to avoid potential conflicts. “The whole incident is under examination and control. We have an ongoing dialogue. The general picture and facts are all clear, and I think the situation will be resolved,” Lieberman said. Israel has yet to admit guilt in the Il-20 downing. It disputes Moscow’s statements over the issue, according to which, Israeli F-16 fighter aircraft used the Il-20 as a shield their latest air attack on Syria and essentially put it in the line of retaliating fire opened by the Syrian air defense. Tel Aviv, meanwhile, claimed the anti-aircraft shooters fired “chaotically and haphazardly” having failed to make sure there were no Russian aircraft in the fire zone. According to information provided by the Israeli side, by the time the Il-20 was destroyed after being hit by a Syrian S-200 missile, the four F-16s were already well on their way home. Israel said it has been allegedly targeting Iranian military facilities in Syria, with Iran and Syria flatly denying the claims. 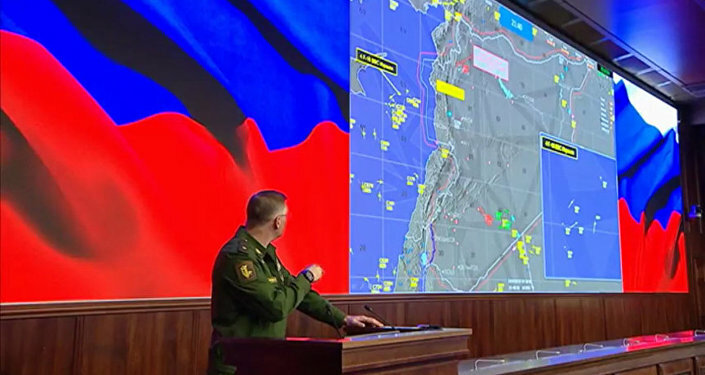 On September 17, a Il-20 military plane disappeared from the Russian radar screens, while on its way back to the Syrian airbase Hmeymim, which lies 35 kilometers away from the Mediterranean shore. According to the Russian Ministry of Defense, at around the same time, four Israeli F-16 military jets attacked Syrian targets in Latakia, having informed the Russian side just one minute prior to the attack. The ministry went on to state that by hiding behind the Russian jet, the Israeli pilots thereby subjected it to an attack by the Syrian air defense units, which left a total of 15 Russian military servicemen killed in the aircraft destruction.